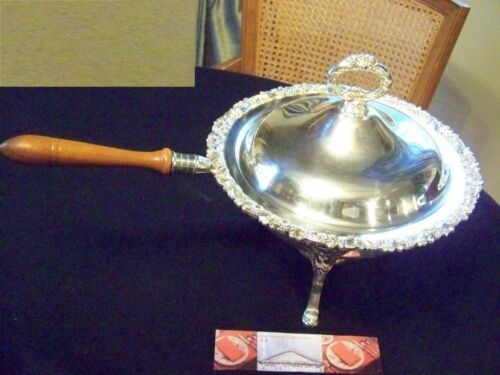 $379.0 Tiffany & Co Sterling Silver Melon Fruit Footed Bowl Vine Handles 22974 - 10"
$2500.0 Georgian Sterling Silver RARE 10" by 7" Monteith Bowl C1800s 1110 Grams NICE! 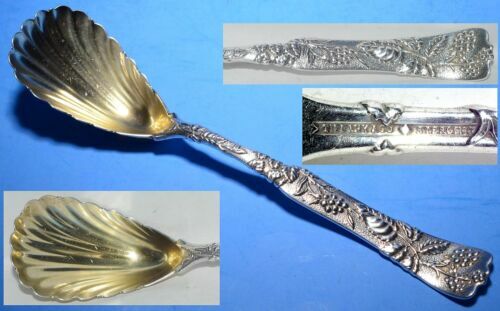 $326.6 Tiffany & Co Bowl Vine Handles Sterling Silver Melon Fruit Footed 22974 - 10"
$899.99 Set 6 Antique Tiffany & Co Strawberry Vine 925 Gold Wash 2 Tine Fruit Forks 4.5"
$289.0 Vine by Tiffany & Co. Sterling Salt Spoon Master Wild Rose Gold Washed 3 5/8"
$597.17 Antique Victorian Large Silver Plated & Glass Centerpiece Epergne Grapes Design. 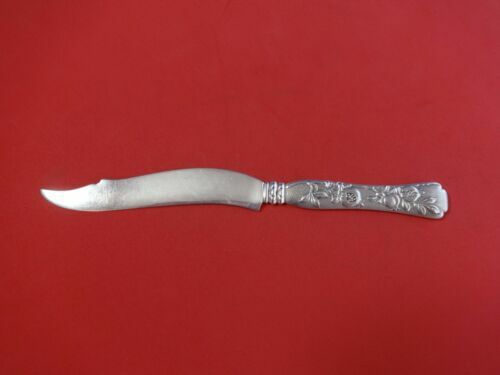 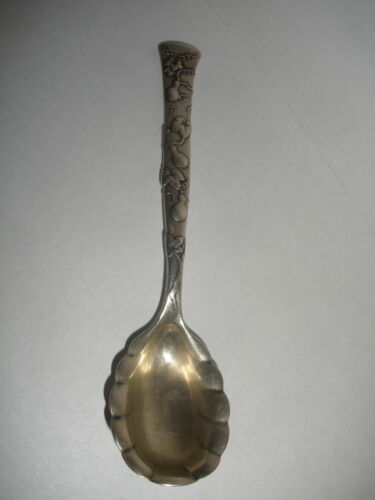 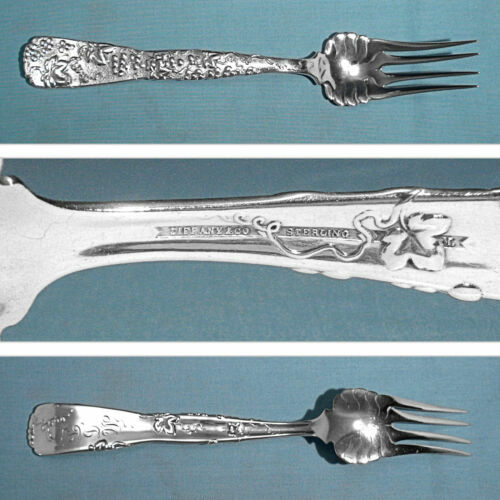 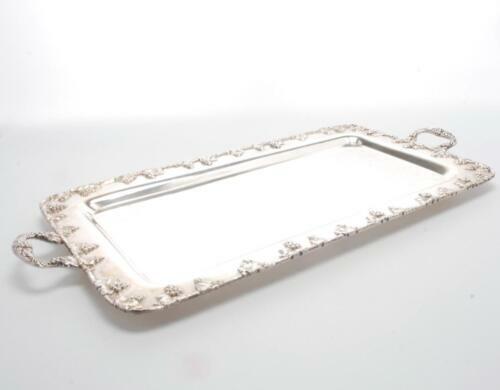 $309.0 Vine by Tiffany and Co Sterling Caviar Fork 3-Tine with Gourds 6"
Buy: $239.95 Beautiful Antique Strawberry & Vine Woodside Sterling Co Silver Bowl Repousse 8"
Buy: $250.0 STRAWBERRY VINE BY TIFFANY & CO. STERLING SILVER ICE CREAM SPOON GW 5 3/8"
$159.0 Vine by Tiffany & Co. Sterling Teaspoon Gourd Motif 6"
Buy: $169.5 Tiffany Vine - Set of 4 Demitasse spoons 4" w/Wild Roses! 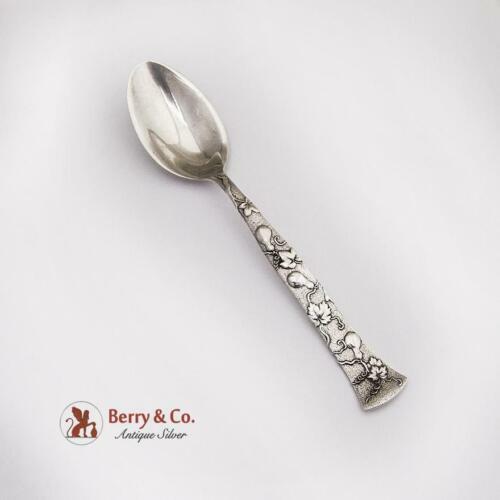 $389.0 Vine by Tiffany & Co. Sterling Silver Preserve Spoon with Raspberry 7"
$709.0 Vine by Tiffany and Co. Sterling Silver Fish Fork Wavy Tines w/ Daisy 6 1/2"
$389.0 Vine By Tiffany Sterling Silver Sugar Sifter w/ Gourds 5 3/4"
$189.0 Vine By Tiffany Sterling Silver Junior Fork w/ Gourd 6 3/8"
$1959.0 Vine by Tiffany and Co. Sterling Silver Cold Meat Fork with Pea Pods 8 7/8"
$389.0 Vine By Tiffany Sterling Silver Sugar Sifter w/ Gourds 6 3/8"
$189.0 Vine by Tiffany & Co. Sterling Silver Ice Cream Spoon w/Gourd Gold Washed 6 1/8"
$799.0 Strawberry Vine by Tiffany & Co. Sterling Silver Sauce Ladle 7 1/4"
$499.99 Tiffany VINE RASPBERRY Sterling Silver Pea Or Large Sugar Sifter Spoon 7 1/4"
$489.0 Vine by Tiffany & Co. Sterling Silver Game Knife FH AS with Pomegranates 8"
$389.0 Vine by Tiffany & Co. Sterling Silver Sugar Tong 4"
$329.0 Vine By Tiffany Sterling Silver Caviar Fork Goldwashed w/ Gourds 6"